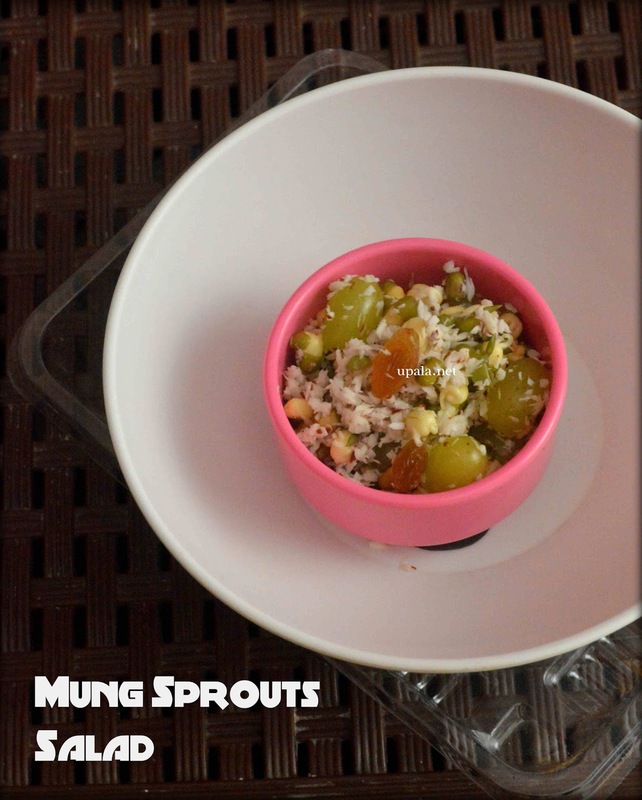 Mung Sprouts Fruits salad is a tasty salad packed with loads of Nutrients. When I first tasted this salad in a function I immediately noted this recipe to give a try at home as it was simple and delicious as well. If you are weight watcher, I am sure this salad is a wonderful recipe to give a try. 1) Wash and soak Mung bean/Green gram overnight. Next day, drain water and transfer it to a cotton cloth and wrap it. Small sprouts will start developing in after 6-7 hours. 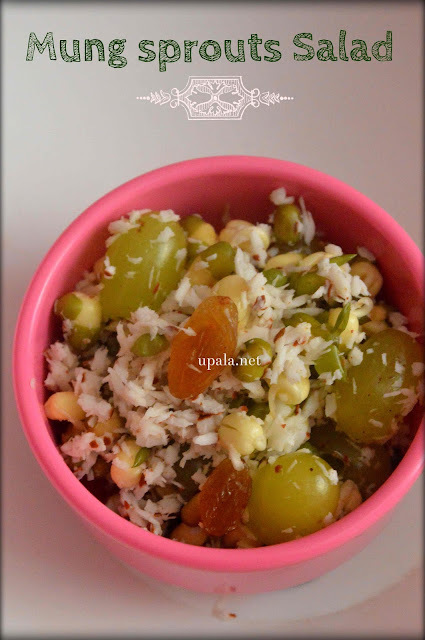 2) Add Grapes, Raisins, Grated coconut, Lime juice, Salt to Mung Sprouts and mix well. Yummy Mung sprouts Salad is ready. 1) You can also add 2 tbsp of Pomegranate seeds.